*** Please note that leather is a natural product and color and texture can vary from batch to batch and may be slightly darker or lighter than one shown. ✓ USA 13-20 business days from payment. ✓ Germany 7-8 business days from payment. ✓ EU countries 10-15 business days from payment. ✓ Other destination 15-35 business days from payment. STAMPING process uses warm embossing to impress the letters into the leather. 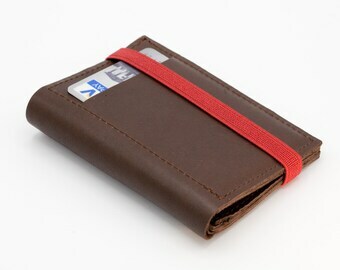 - The initials will be stamped on the Outside – left bottom corner. - Your initials will be stamped in capital letters. Package arrived today. It looks well made and strong. Of course only time will tell! A bit darker than it appears in the pictures. I might have chosen another colour if I knew. Finally, I am hoping the leather will loosen up a bit as it is particularly tight and it is quite hard to fit in a 50euro note. 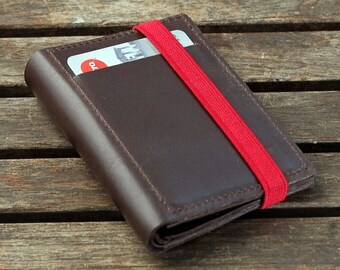 Overall I am satisfied and I am pretty sure I will have this wallet for a while. If I don't loose it that is. Beautiful soft against the skin and a lovely colour! (1) The Vendor and contracting party for the merchandise presented is Waks & Sharet GbR, Braunschweiger st 72, 12055, Berlin, phone +49 (0)157 71765397, e-mail info.gazur@gmail.com (referred to hereinbelow as the “Vendor” for short). (1) The Vendor is offering the merchandise presented in the Etsy Shop for sale to other Etsy users. The colors of the merchandise shown on the website may vary slightly depending on the internet browser and monitor settings used by the Customer; these variations are technically unavoidable. To exercise the right of withdrawal, you must inform us (Waks & Sharet GbR, Braunschweiger st 72, 12055, Berlin, phone +49 (0)157 71765397, e-mail info.gazur@gmail.com) of your decision to withdraw from this contract by an unequivocal statement (e.g. a letter sent by post, fax or e-mail). You may use the attached model withdrawal form, but it is not obligatory. You shall send back the goods or hand them over to us or Waks & Sharet GbR/Gazur Kreuzbergstrasse 9 (souterrain) 10965 Berlin Germany without undue delay and in any event not later than 14 days from the day on which you communicate your withdrawal from this contract to us. The deadline is met if you send back the goods before the period of 14 days has expired. (1) Anbieter und Vertragspartner für die dargestellten Waren ist Waks & Sharet GbR, Braunschweiger st 72, 12055, Berlin, Telefon +49 (0)157 71765397, E-Mail info.gazur@gmail.com (im Folgenden kurz „Anbieter“). Um Ihr Widerrufsrecht auszuüben, müssen Sie uns (Waks & Sharet GbR, Braunschweiger st 72, 12055, Berlin, Telefon +49 (0)157 71765397, E-Mail info.gazur@gmail.com) mittels einer eindeutigen Erklärung (z.B. ein mit der Post versandter Brief, Telefax oder E-Mail) über Ihren Entschluss, diesen Vertrag zu widerrufen, informieren. Sie können dafür das beigefügte Muster-Widerrufsformular verwenden, das jedoch nicht vorgeschrieben ist. Sie haben die Waren unverzüglich und in jedem Fall spätestens binnen vierzehn Tagen ab dem Tag, an dem Sie uns über den Widerruf dieses Vertrags unterrichten, an uns oder an Waks & Sharet GbR/Gazur Kreuzbergstrasse 9 (souterrain) 10965 Berlin Germany zurückzusenden oder zu übergeben. Die Frist ist gewahrt, wenn Sie die Waren vor Ablauf der Frist von vierzehn Tagen absenden. 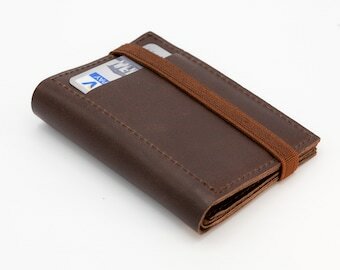 Are the wallets for men or women? 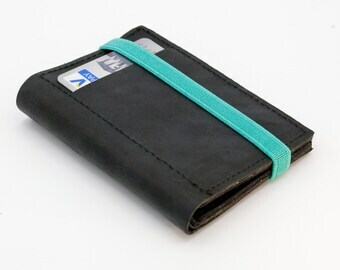 Do the wallets fit all bills? Of course! Some bills (like Euro bills) go flat. Australian,US dollars, GBP and other bills fit with just one fold. How many cards fit in the wallet? 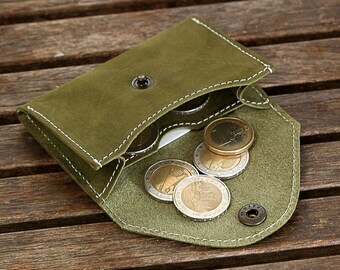 WALLET W/ COIN POCKET - it has 4 slots. fits up to 10-12 cards. 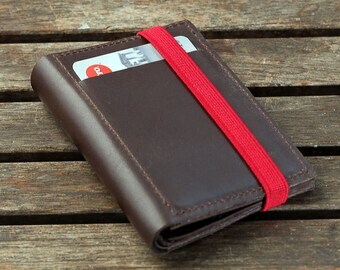 each wallet can be personalized by embossed initials. 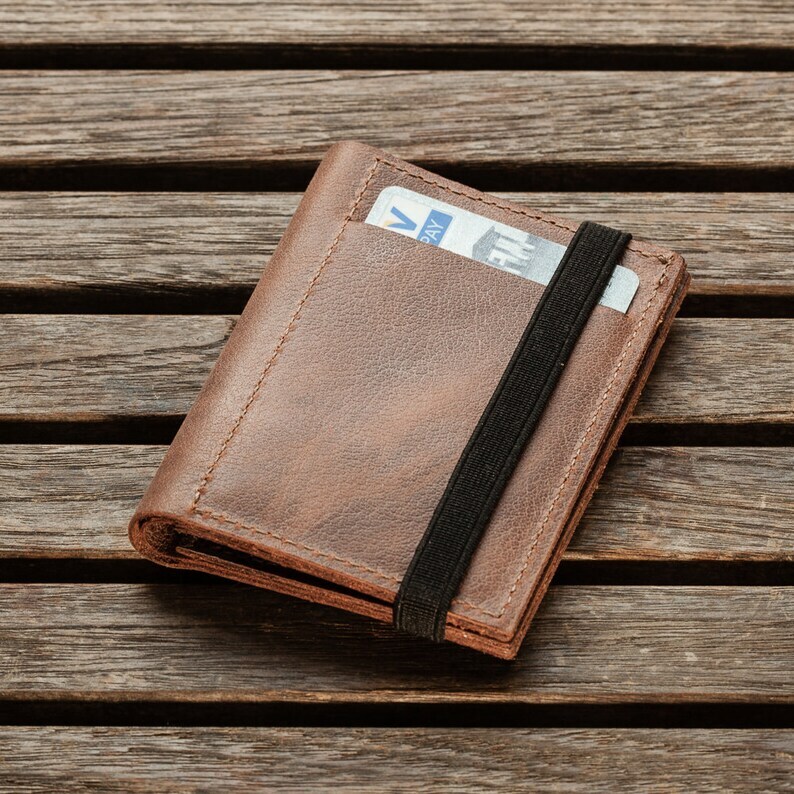 How should I care for my wallet? 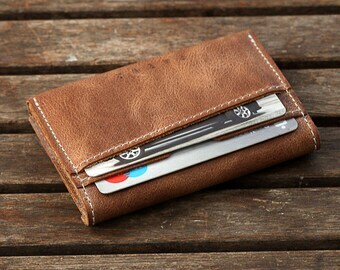 2) Leather tends to stretch and will not go back to its original shape, so don't over loaded your wallet. side effect - you will carry only what necessary. In a short time Our leather wallet will DEVELOPS A RICH PATINA. we offer express shipping to European counties which take 3-7 working days and can be ordered during payment process. please include PHONE NUMBER for this shipping. for other countries please contact us individually.